Early UK Lord of the Rings 5th/4th/5th rebound - SOLD The Lord of the Rings - The Fellowship of the Ring, 5th impression published February 1956. 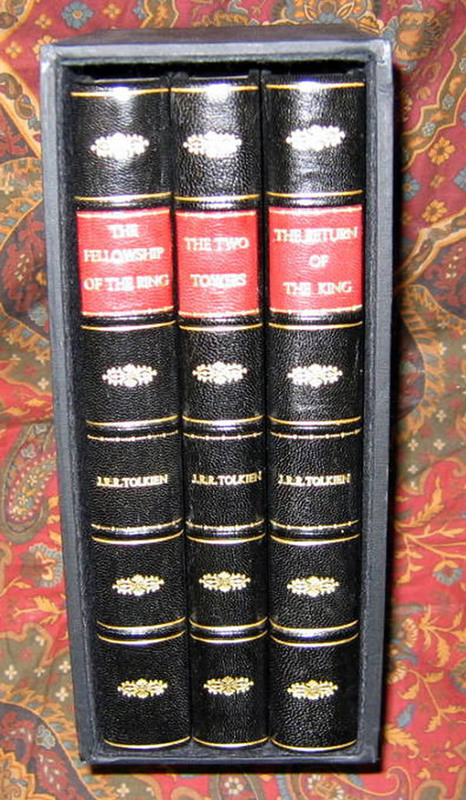 The Two Towers, 4th impression published 1956. The Return of the King, 5th impression published 1959. The Lord of the Rings - The Fellowship of the Ring, 5th impression published February 1956. The Two Towers, 4th impression published 1956. The Return of the King, 5th impression published 1959. 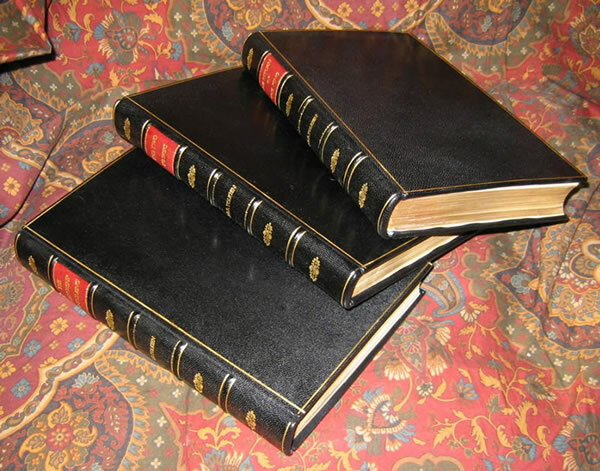 All three books have been recently rebound in full black leather. The binding is distinguished by five raised bands, gilts rules, the Title in gilt on red leather insert, with the Author gilt stamped in one of the compartments. All edges of the text block have been trimmed and gilded. The boards also have single gilt rule to the edges. All original maps are present and in fine condition. A handsome early set of the famous trilogy. 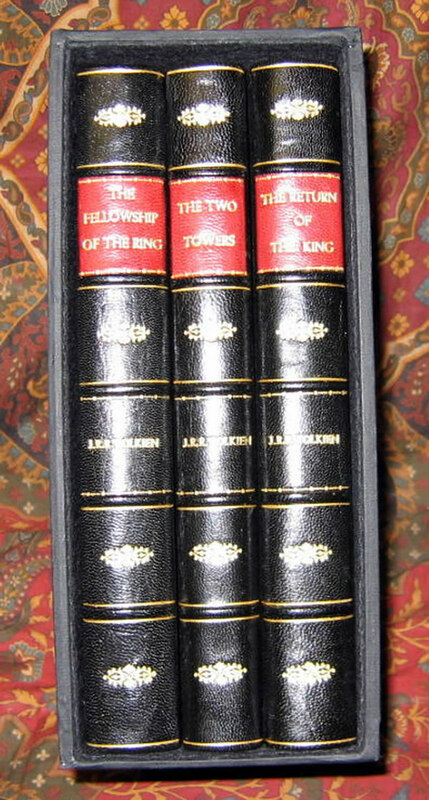 A nice item for the Tolkien collector. All are very clean and bright, with no foxing, and with no writing or signatures. Beautiful looking set, with a classic design.